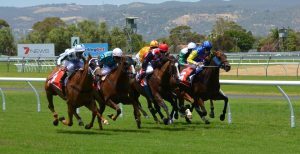 After a lull in the action over the winter time, Australia’s horse racing action gets back into full swing at the beginning of August with the ending of the Darwin Cup Carnival. Over the next two months top horses back on the track as they start preparations for the Caulfield Cup, W.S. Cox Plate and Melbourne Cup. With the end of winter and the coming of spring, most of the nation’s top horse racing venues will be presenting a barrage of Group 2 and Group 3 races, all intended as major preps for the major Group 1s to be held in October and November. The top racing venues that will be in action during August and September include Flemington, Caulfield, Moonee Valley, Rosehill and Randwick. Between August 13 and September 30, there will be no less than four Group races being run on any given weekend. Punters, who are gearing up for the big races being featured at the nation’s spring racing festivals, will want to start paying attention to free bets and other offers being made by online Australian bookmakers. As indicated, there will be 58 Group rated stakes and handicap races held at 7 different racing venues on three provinces. Of that number, there will be 19 Group 2 events and 6 Group 1 events, including some of the nation’s most historic races. Let’s take a look at the race conditions for the 6 scheduled Group 1 events. August 27, Caulfield Racecourse in Melbourne – The Group 1 Memsie Stakes for three-year-olds and up for a purse of AUS$400,000. The race will be run under weight-for-age conditions at 1400 meters on grass. September 10, Flemington Racecourse in Melbourne – The Group 1 Makybe Diva Stakes for three-year-olds and up for a purse of AUS$400,000. The race will be run under weight-for-age conditions at 1600 meters on grass. September 10, Rosehill Racecourse in Sydney – The Group 1 Golden Rose for three-year-olds for a purse of AUS$1,000,000. The race will be run under set weight conditions at 1400 meters on grass. September 17, Randwick Racecourse in Sydney – The Group 1 George Main Stakes for three-year-olds and up for a purse of AUS$500,000. The race will be run under weight-for-age conditions at 1600 meters on grass. September 24, Caulfield Racecourse in Melbourne – The Group 1 Sir Rupert Clarke Stakes for two-year-olds and up for a purse of AUS$400,000. The race will be run under weight-for-age conditions at 1400 meters on grass. September 24, Caulfield Racecourse in Melbourne – The Group 1 Underwood Stakes for three-year-olds and up for a purse of AUS$400,000. The race will be run under weight-for-age conditions at 1400 meters on grass. Of course, everyone will experience the building excitement over the barrage of Group 1 races that will be coming in October and early November. Punters will be wanting to get themselves aligned with the top online Australian bookmakers and a chance for some lucrative free bets. It will all culminate in the following three horse racing spectacles. October 15, Caulfield Racecourse in Melbourne – The Group 1 Caulfield Cup for three-year-olds and up for a purse of AUS$3,000,000. The race will be run under assigned weight conditions at 2400 meters on grass. October 22, Moonee Valley Race Course in Melbourne – The Group 1 W.S. Cox Plate for three-year-olds and up for a purse of AUS$3,000,000. The race will be run under weight-for-age conditions at 2040 meters on grass. November 1, Flemington Racecourse in Melbourne – The Group 1 Melbourne Cup for three-year-olds and up for a purse of AUS$6,175,000. The race will be run under assigned weight conditions at 3200 meters on grass.